On a highway outside Erbil, the capital of Iraqi Kurdistan, the Alwa wholesale vegetable and fruit market was plastered with banners urging Kurds to vote “yes” in yesterday’s independence referendum. Just below them, the origin of trucks pulling in with sacks of tomatoes, apples, and peppers, hinted at how big a gamble the vote may prove to be: Many were stamped with addresses in Turkey, which has condemned the referendum. Others came from Iran, which is just as strongly opposed. When I asked a young trader what would happen if these countries shut their borders to pressure Kurdistan’s regional government—as they have threatened to do—he shook his head. “The market would die,” he said. Independence is a lifelong dream for many Iraqi Kurds, who suffered horribly under Saddam Hussein, and so Monday’s referendum was met with understandable jubilation in Erbil, a stronghold of President Masoud Barzani’s ruling Kurdistan Democratic Party (KDP), the force behind the vote. Initial results suggested turnout was high, with over 90 percent voting for secession. Rhetoric has escalated sharply since then, with Baghdad urging neighboring countries to shut down flights into the region—so far, only Iran complied—while demanding that the regional government hand over control of its airports and border crossings by Friday or face a blockade. Turkey, which fears stirring separatism among its own Kurdish population, has threatened similar action. Turkish President Recep Tayyip Erdogan called the vote “treachery” and suggested the region would "not find food or clothing" if its sanctions were implemented. While Barzani apparently calculated that the time was ripe to press for secession from Iraq, coming just as the Islamic State is being pushed from its last holdouts in the country’s north, the state of Kurdistan’s economy suggests just the opposite. With a near-complete dependency on imports for basic goods and on oil piped through Turkey for government revenues, it is reasonable to ask just how much leverage Kurdish leaders will actually have in post-referendum negotiations—as well as how viable an independent Kurdistan’s economy would be. The economic case against secession rests largely on oil. Since gaining de facto autonomy in the early 1990s under a U.S.-imposed no-fly zone, Iraqi Kurds have steadily built up institutions including ministries, a civil service, and an army, allowing them to effectively function as a state. They have had less success developing economic self-reliance, however, largely because steady petroleum revenues have stifled the incentive to diversify into other sectors, like agriculture, manufacturing, and banking—as well as developing their capacity to collect taxes. 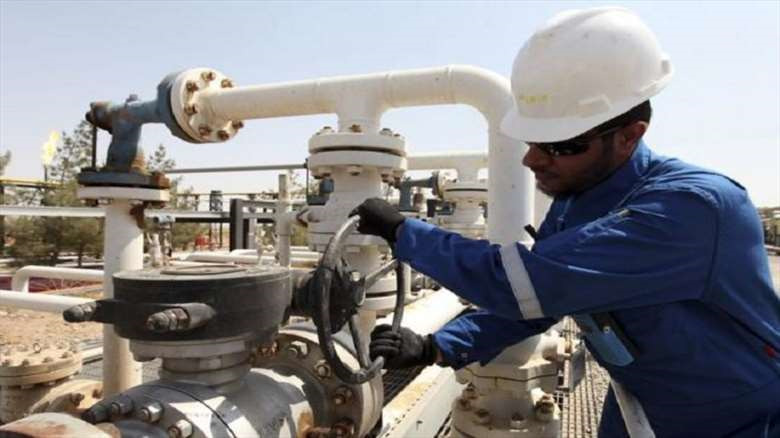 Instead, the Kurdistan Regional Government (KRG) relies on oil sales for up to 90 percent of its revenues, which, in turn, are spent overwhelmingly on the salaries of government employees who underpin the region’s workforce. As with other rentier economies, private-sector activity such as construction depends heavily on public spending. Because the KRG’s roughly 600,000 barrels per day of oil exports are piped almost exclusively through Turkey to the port of Ceyhan, Ankara has enormous leverage not only over the region’s economy, but over the resource-distribution systems underlying social stability, such as the government’s ability to pay salaries. “Oil is the main source of revenue in the region and all of that falls into the government’s coffers. So that’s it—the KRG’s economy depends on one pipeline that sells oil to international markets and the pipeline goes through Turkey. You shut down that pipeline, you choke the Kurdish economy,” Bilal Wahab, an analyst at the Washington Institute for Near East Policy, told me. The other major problem is the region’s heavy reliance on imports, which account for some 80 to 90 percent of goods, analysts estimate. The region produces significant amounts of cement, steel, and wheat, but little else. Walk through Erbil’s downtown market and you will see pomegranates from Egypt, apples from Iran, and peaches and eggs from Turkey—not to mention clothes and household goods from China and cigarettes from as far as South Korea. Because Kurdistan is land-locked, shutting its borders with Iran and Turkey and airspace through Iraq could quickly lead to sharp spikes in prices or shortages of basic goods such as food and fuel. A coordinated blockade by the region’s neighbors would be devastating. In addition, a recent deal between the KRG and Russian energy firm Rosneft for a $1 billion natural gas pipeline through Turkey, as well as another to develop five oil and gas fields in the region, may also discourage Ankara from shutting down Kurdish energy exports by adding Russian interests into the mix. Barzani’s gamble may pay off in the end, but it is still just that—a gamble. One Kurdish economist who asked not to be named because of the sensitivity of criticizing the referendum pointed out that Turkey bordered eight countries and had a large, diversified economy. While it would undoubtedly suffer from a blockade of Iraqi Kurdistan, it would likely move forward if it felt it served its overall interests, such as discouraging separatist movements among its own Kurdish population. “Sometimes Turkey will sacrifice their business interests to apply political pressure,” the economist said. Indeed, Erdogan seemed to raise exactly that prospect as the vote proceeded on Monday. “We have the tap. The moment we close the tap, it’s done,” he said. But Kurdistan doesn’t have to rely solely on oil. Its fertile farmland and central location, could make it a hub for regional trade; focusing more attention on them could soften the blow of any blockade by neighboring countries in the future. Asked why it has failed to exploit these advantages so far, most analysts point to corruption: Building party loyalty has dictated the logic of much of the region’s development, with sectors that are difficult to tie into patronage networks, such as agriculture, flagging from neglect, while those which more easily facilitate kickbacks, such as construction, have boomed. Another problem, the Washington Institute’s Wahab said, is that Iraq’s tumultuous politics means the region’s leaders have been lurching from crisis to crisis in “survival mode” for decades, rarely enjoying the luxury of long-term planning. That has led to a lack of vision for an independent Kurdistan—will it be capitalist? Socialist? something in between? — with the focus instead on grievances against Baghdad. “If you ask me what is the main obstacle that makes the KRG potentially non-viable, I’d say it’s not on the hardware side—it’s not the oil and nice resorts, etc.—it’s on the software and governance side of things,” he said. Referendum supporters suggest the region will have an easier time dealing with such problems once unshackled from Baghdad. Greater control over oil exports—the KRG currently sells shipments at a discount due to Baghdad’s claims—as well as the ability to issue sovereign debt and negotiate directly with international agencies would all be boons. Since the 2014 oil crash, reforms spearheaded by Deputy Prime Minister Qubad Talabani, such as introducing biometric testing for government employees to cut down on ghost salaries and double-dipping, have won wide praise.